It is believed that the Goblin Tribes took to space at the same time as the Orchs, forming lose warbands and in some cases great tribes of nomadic scavenger colonies. Over the years the goblins living in the cold vast space formed clans (much like the Orchs) and grew into a fully adopted space living race. Very few goblins ever live or stay for longer periods on solid planet surfaces. They love their rag tag scrap worlds where they live by their own law and rule under the Goblin rulers. The Goblins lives in Scrapworlds consisting of hundreds or thousands of shipwrecks joined tighter to form their mothership-colonies. The Scrapworlds moves slowly through the galaxy as the goblin scavenger fleet searches for the remains of wrecked ships and battlefield debris. 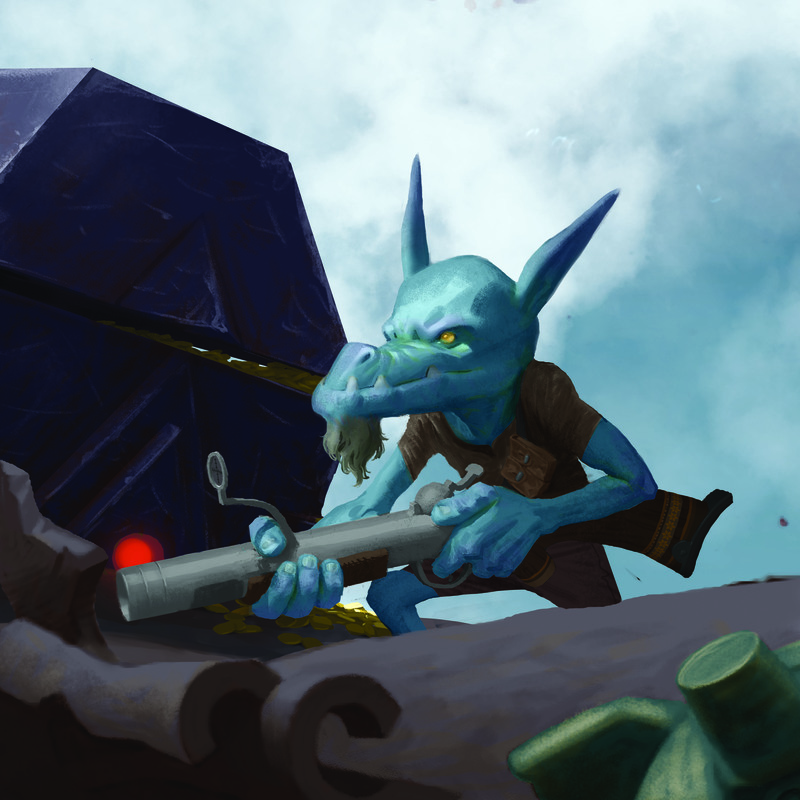 Scrapworlds are often home to trading markets and even the large human tradinghouses are present at the largest of goblin scrapworlds. There has always been a thight bond between the huge Orchs and the smaller Goblins. A uncanny brotherhood that benefits them both.